MiCBT - Mindfulness integrated CBT - Anglia Counselling Ltd. Call or email me now! This is a wonderful therapy model bringing together the power of Mindfulness, integrated with the more widely recognised principles of Cognitive Behaviour Therapy. Having recently completed a level five diploma in CBT – and having been a practitioner of mindfulness for some years offering both to appropriate clients in my private practice, MiCBT appears to be a collaboration of some significance for those wishing to embrace them together, whether as a therapist or recipient. Based from sets of evidence-based principles, the MiCBT model can be used across a broad spectrum of psychological conditions, including general stress disorders. Mindfulness, for those unaware (excuse the pun), involves being ‘aware’, being in the moment (this moment, and each and every moment) within our mind, body and our environment. Gaining this for those conditioned otherwise, is relatively easily attainable with some group or one-to-one training. In fact, mindfulness is introduced to many of my clients (when assessed as appropriate), with considerable ease and for their success! As with CBT, mindfulness involves thinking about our thoughts. In mindfulness, acknowledging those that are unhelpful via a non judgemental stance. With mindfulness, we then start accepting them, when available, and let go. The roots of mindfulness are found within eastern spirituality and Buddhism – and has been in existence for some twenty-five centuries. Helpfully, it is unnecessary to adopt a specific religion to learn and practice mindfulness; it works across ‘all’ religions and outside of them too! Growing annually in acceptance (and practice) in the west for a number of decades, mindfulness is fast becoming recognised in the high performance, extreme stress professions such as the military and other environments where optimal performance and creativity is desirable. Mindfulness is reported to be reducing the strength of post traumatic stress disorder (PTSD) when this occurs in those predictable professions, and for those who have already succumbed. I hope to see, and will encourage, further growth with civilian frontline services such as paramedics, nurses, physicians, firefighters and police – in fact, anyone can and will benefit! Teachers and civil servants would benefit hugely too; this could also bring higher rates of satisfaction to the students and ‘customers’, as well a greater sense of fulfilment for the teacher and civil servant. Imagine store workers and other customer facing employees and what it might be like to be ‘served’ by people behaving as individuals who were ‘in tune’ with the moment, instead of ‘auto-pilot’. In learning to provide nothing more than a neutral response to internal and external influences, the things we experience, we can learn to detach from negative meanings, expectations and judgements about ‘what she said, he did’, etc. In addition, by incorporating a notion of impermanence we can begin to accept our ever changing mind, body, relationships, and world. We can learn to detach more from rigid views and see things in a more objective way thus reducing our stresses, anxieties and expectations to a more accessible level. In CBT, we already help those comfortable with introspection to consider their thoughts and maladaptive ways of coping, to challenge for evidence a proposed reality to that which is causing depression, anxiety, addictions, or avoidance, among others. How is MiCBT different from the two respective models? Integrating mindfulness and some of the principles of CBT, is different in that it looks to try and address the maintaining properties (or processes) leading to unhealthy behaviours and actions. Hence, not just addressing ‘the thoughts’, but the very process of thinking. Learning to recognise, via interoception – that is, the ability to ‘body-scan’ for sensations – lends itself to considering how we may react or, better still, respond – based on that which we feel! We all know what it feels like to have an anxiety manifest in the gut, “butterflies“, and we may then grow further our anxiousness based on this ‘confirmation’. It is however, possible to learn to recognise much less obvious physical sensations, and in accepting them, releasing them, bringing with that… emotional relief. What are YOUR thoughts? For more on how mindfulness looks, in everyday life, do treat yourselves to a wander around my blog archives – or write – if you would like my personal attention in introducing mindfulness to you. 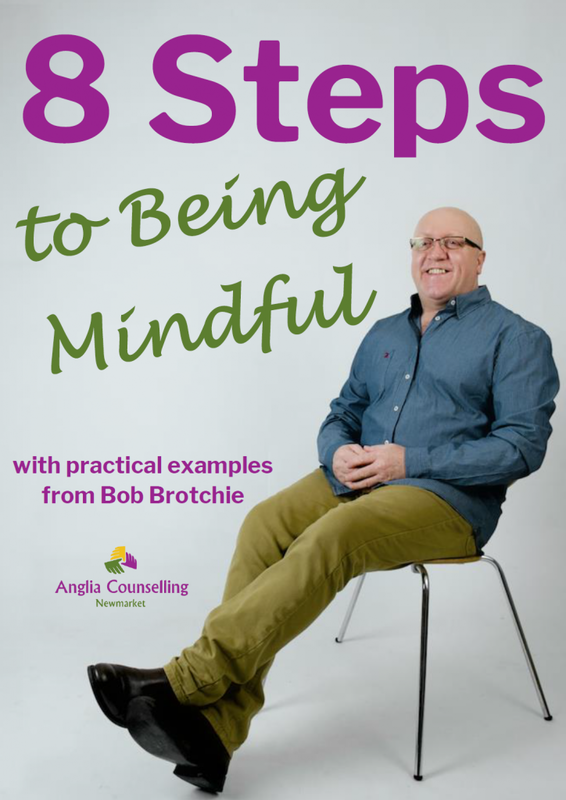 Bob Brotchie is a counsellor and life coach who writes for Anglia Counselling, is featured on various other websites and introduces us to many guest writers all covering topics related to mental health and wellbeing. 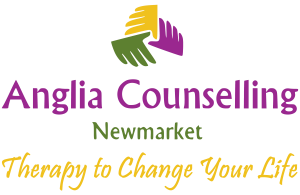 Bob provides bespoke services to clients in the privacy and comfort of a truly welcoming environment at his Anglia Counselling company office, located near Newmarket in Suffolk, England. 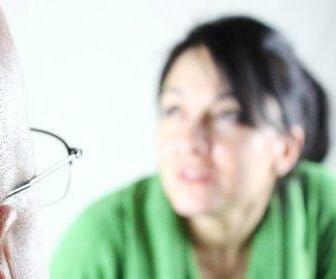 Bob also provides professional online counselling, for international clients around the world. The therapeutic models offered, are bespoke to the client’s needs (not his) whilst integrating a mindful approach to psychotherapy and cognitive behaviour therapy (CBT) principles. For clients experiencing trauma and/or phobia, Bob offers the Rewind Technique, a rapid process that provides rapid results without re-traumatising the individual. 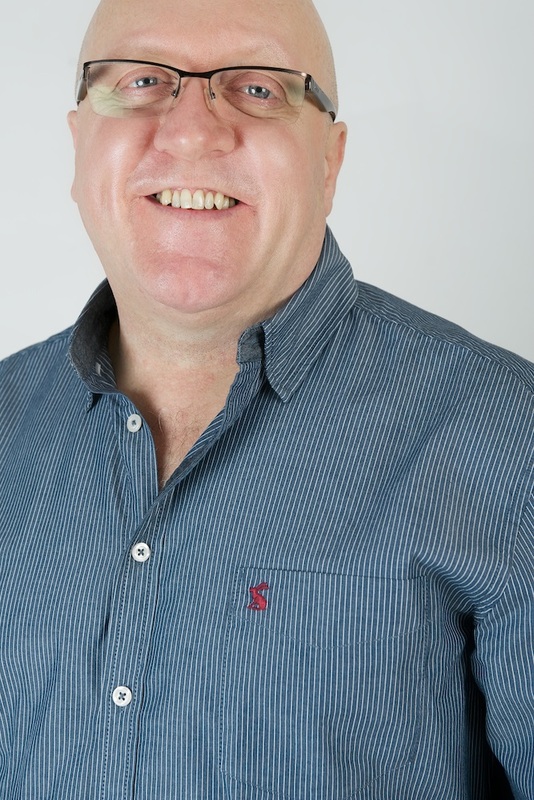 For those seeking greater emotional stability, Bob offers life coaching and other bespoke services. ← Have you made a business will? Whether you’re near to Kennett in Newmarket (or Bury St Edmunds, Haverhill, Cambridge or Ely), face-to-face support here is always confidential. And if travelling is a problem, you have a choice of online options too! Emotional Wellbeing	Have you made a business will?